Small Sources No. 42. 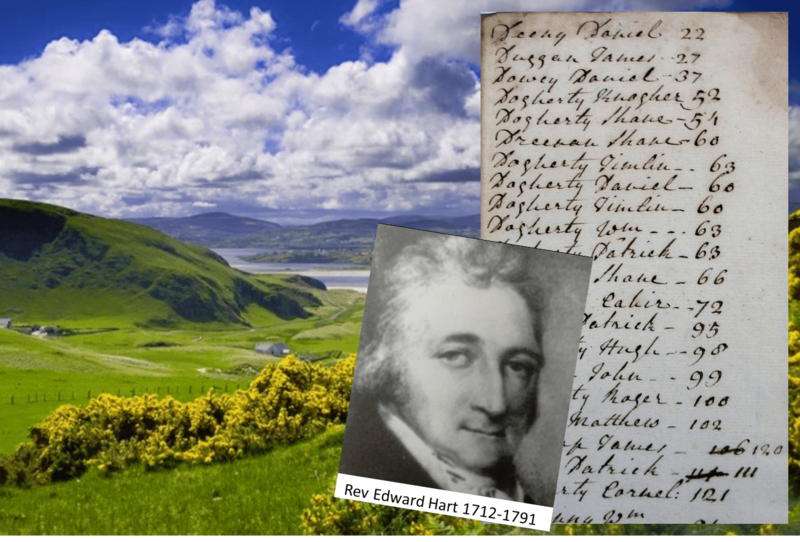 This is a list of 104 tenants on the Hart estate in Kilderry on the Inishowen Peninsula, Donegal in the period from the 1750s to 1780s. The estate is mainly within the Civil parish of Muff, which is also the name of the main local town. A view of the local landscape is shown above. The list is from the index to part of the rental. However, the index pages for the letters T-Z are missing. Names beginning with these letters are therefore not included. The original document is in the National Library of Ireland (NLI Ms. 7885). See our article here for a detailed account of rentals and their relevance. The index is a loose document within a single large rental book that is highly disorganised and in bad condition. The rental also contains further loose documents (receipts, notes, lists of tenants etc.). 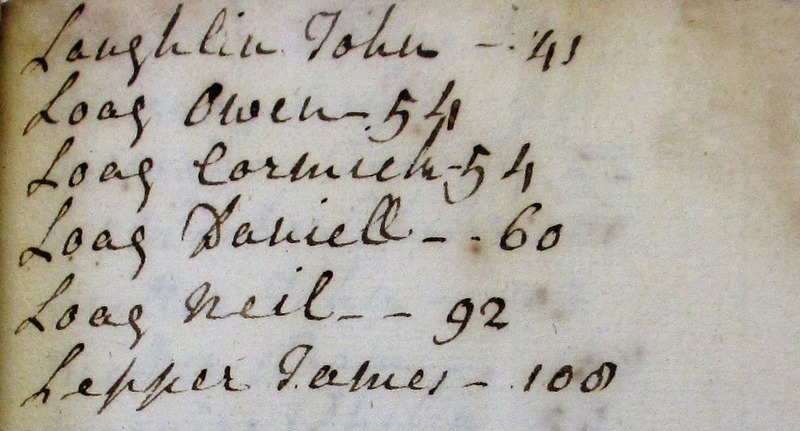 The index would appear to cover only the latter half of the 18th century, whereas the full rental book also covers a later period. The index (see above) refers to the page within the rental on which the accounts for each tenant are recorded over a period of years. 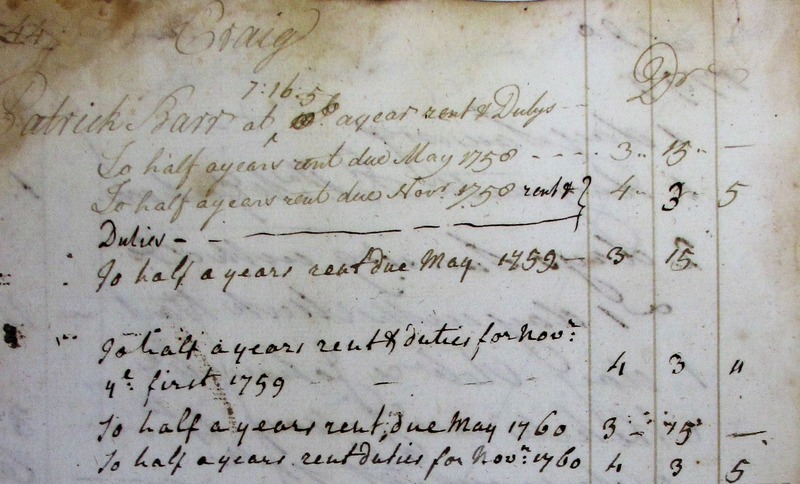 As example, the illustration below shows part of the rent records of Patrick Barr in the townland of Craig from 1758-1767. As is usual in this style of rental, the rent due is on the left page and the payments on the right page. Only the top of the left page is shown below. This information is available for all of those tenants listed below, and also further tenants not included in this index. A previous blog on labourers on this estate in 1758/9 gives information on the Hart family who owned this estate. 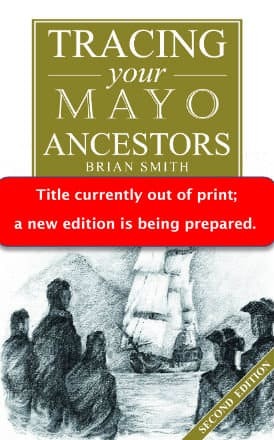 They are the subject of a detailed family history available on Google books. At the time of this record the landlord was Rev. Edward Hart (1712-1791). 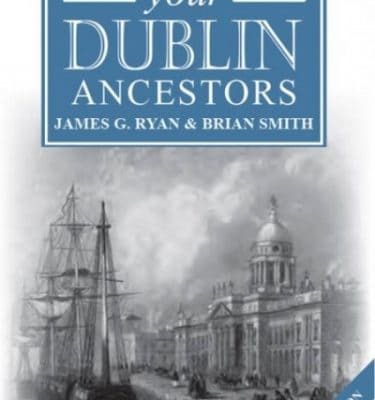 The Hart family history also gives information on other local and inter-related families including the Murrays, Travers, Sampsons and Vaughans. A short history of the family and estate is also available here. 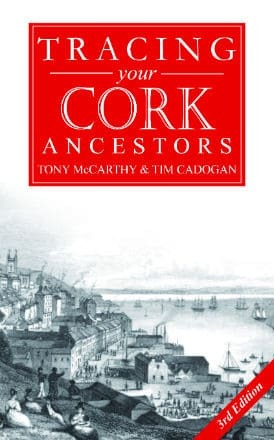 Some interesting personal names are recorded on this list, including Cormick (or Cormac), Shane, Knogher, Teague and Dermot (see the previous blog noted above for some observations). Some common name abbreviations are used, including Wm. = William; Edwd. = Edward; and Robt. = Robt. Ancestor Network will offer 1 free hour of research by a professional researcher to conduct further research on these individuals, or on other tenants of the estate. We can also obtain images of the original documents. Click here and quote ‘Donegal SS42’ in the subject line. 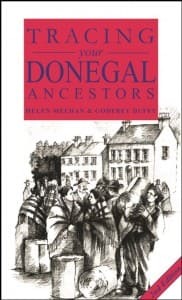 We also publish ‘A Guide to Tracing your Donegal Ancestors‘ by local historian Helen Meehan. 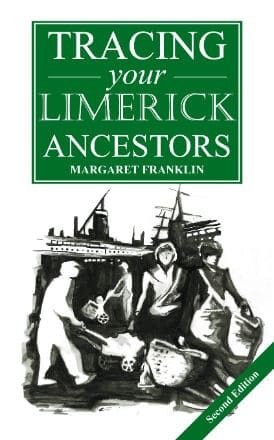 – by local historian Helen Meehan – and published by Flyleaf Press: Available here.